SPRING DECORATING WITH SOME OF MY FAVORITE BLOGGERS! Happy Thursday! Things around here have been incredibly busy lately…this Spring has turned into a whirlwind to say the least! I am in the middle of our daughter’s dance competition season – with lots of travelling involved – and also our son’s hockey playoff season – I don’t get to see too many games, total bummer! The entire month of April is go, go, GO and no time to stop! Then as soon as May and June hit, it will be end of school, our daughter’s elementary school graduation, getting ready for Summer, and more dance competitions and travel. Sometimes I don’t know which way to turn! All that being said, I feel so incredibly blessed – being busy is a great thing, especially when it comes to our kids! I’ve also been dealing with a somewhat private issue within our family for the last two months, which has really turned things even more crazy…my mother has been in the hospital going on eight weeks now, and it’s been a little bit stressful managing everything around here lately! The good news is, she is doing great and we are extremely positive she will come out with flying colors – we know she will! It will just be a long road ahead. So, in light of crazy schedules, I wanted to share something very special with you all today! I’m sharing some of the most gorgeous Spring decorating inspiration, brought to you by some of my all-time favorite blogging besties. These girls have been a huge support in this blogging world since I started and they are all so amazingly talented – I wanted to share them with you! You may know some, or all of them already – but I’ve linked to their Spring blog posts so you can hop over to visit them too. Enjoy! *Affiliate links are provided in this post for your shopping convenience – see my full disclosure policy here. 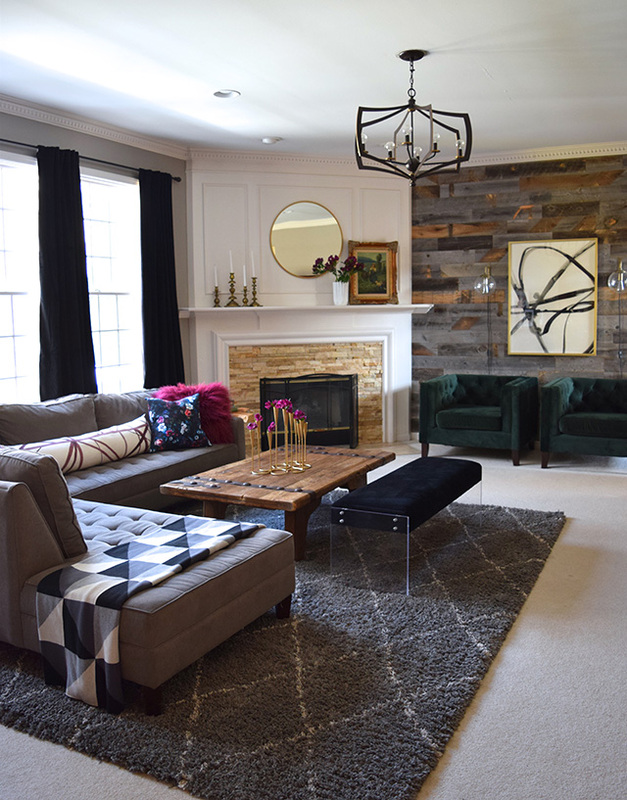 My dear friend Jen of DECOR GOLD DESIGNS just recently updated her already gorgeous living room – from an earthy, rustic vibe, to a clean, modern and glamorous look that has me drooling every time I stop over to her blog (which I often turn to for inspiration!). I adore her soft blush tones that she’s using this season and all of her gorgeous brass details have me swooning in a major way! She’s been updating her home room by room, and I am loving the new direction it’s taking so much – you will too, I know it! 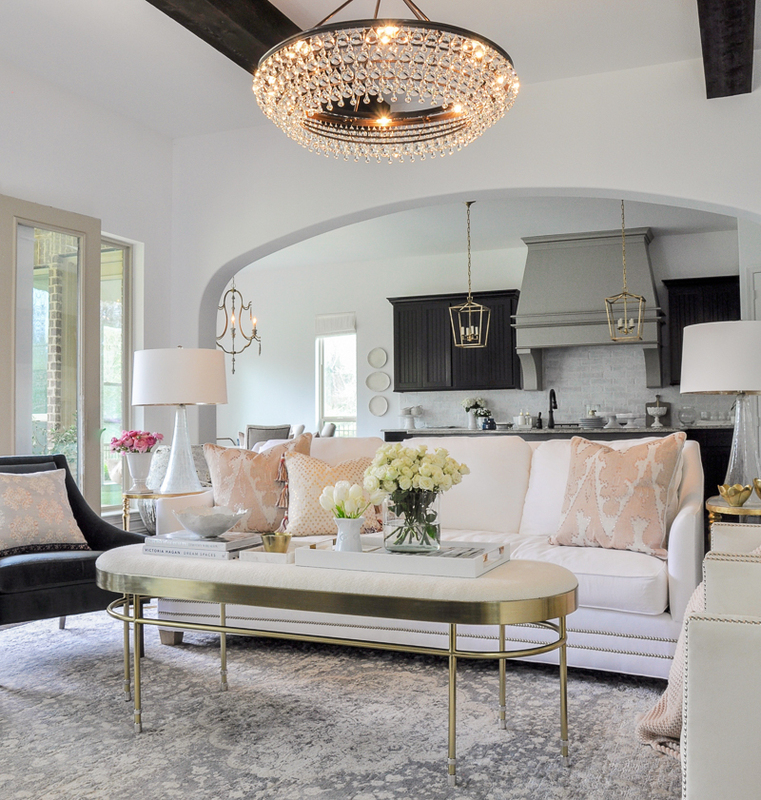 Randi, from RANDI GARRETT DESIGN, has the most exquisite taste, and she has also just finished redesigning her family room in recent months. It is pure perfection to say the least, and guess what – she has five kids! She designed this space using all kid-friendly materials to allow for gorgeous design to live with every day functionality. 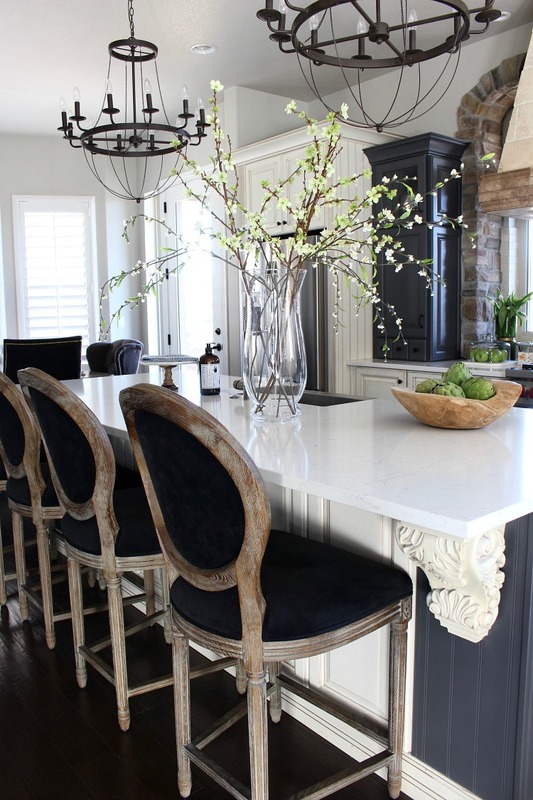 Her kitchen reno from last year is one that will go down in blogging history too! SO stunning and so inspiring! Her romantic, French-inspired signature is elegant and chic – you will not be disappointed! Our darling girl Haneen, of HANEEN’S HAVEN, is a pure gem and one of the funniest people I have ever met! If you follow her, then you know she posts the funniest stories on Instagram – she always has me in stitches! Her fabulous and fearless eclectic style is truly one of a kind and I love her modern-sensibility-meets-out-of-the-box thinking. Look at those bold touches of majenta to celebrate the Spring season! Her signature style is so inspiring and I love the way she can mix anything together and make it look like a million bucks! 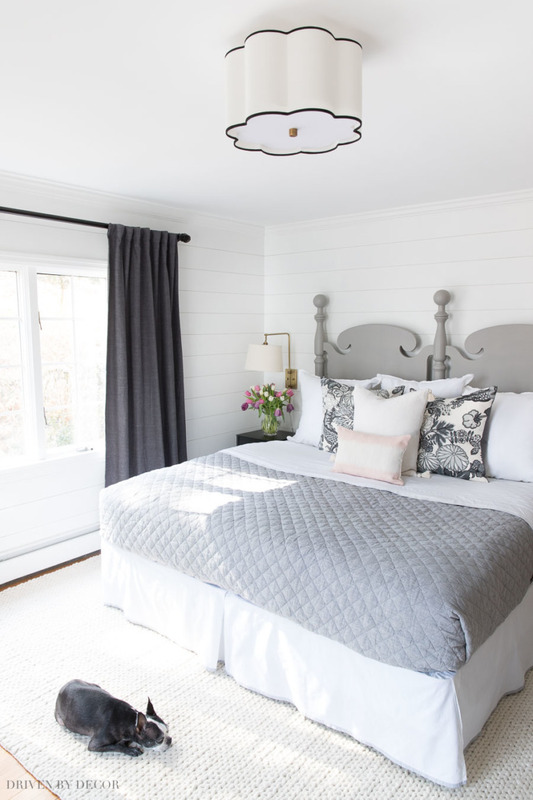 Kelley, of KELLEY NAN, recently tackled this stunning bedroom makeover last Fall for the One Room Challenge – and if I could pick a dream bedroom, this would be it!! The moldings on the walls and ceilings, that perfect sitting nook, that chandelier – I don’t know what I love more. Her Spring greens are absolutely perfect mixed in with all that bright white and those beautiful brass details! 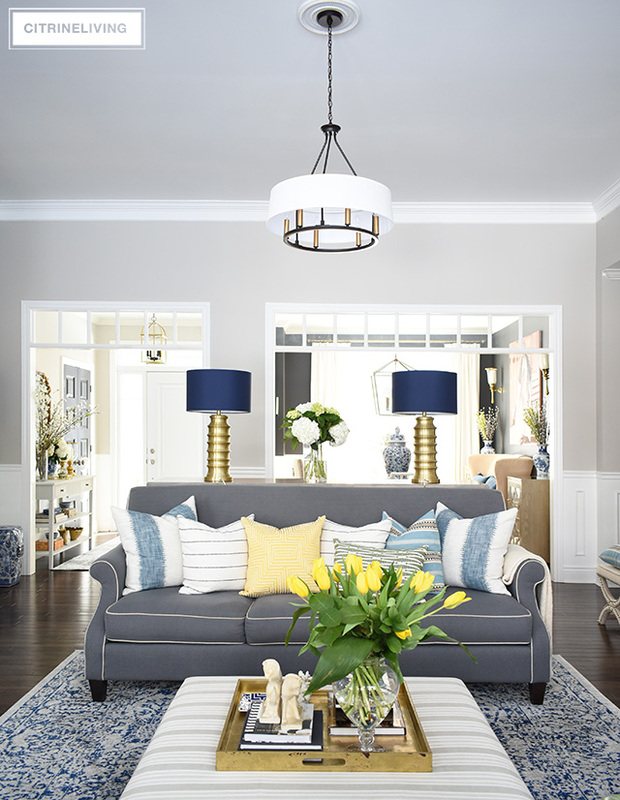 Kelley is brilliant at making her gorgeous neutral home come to life with just the right amount of color and texture layered in all the right places. 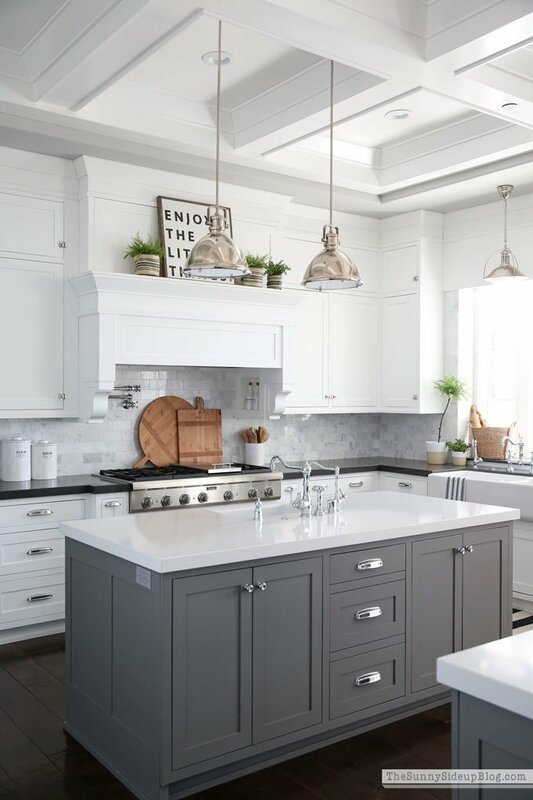 Shauna, from THE HOUSE OF SILVER LINING created the most gorgeous Spring vibe in her kitchen last year, with those simple and eagant branches along with a few other green and natural touches throughout her kitchen. She is in the process of building the most amazing home where she lives in Colorado – she calls it The Forest Modern – your jaw will drop once you see the incredible custom home that she designed herself! She is quite the visionary and I can’t wait until it’s all finished. You need to see it! Brittany, of ADDISON’S WONDERLAND, has effortlessly mastered the look of maximalism, to say the least. Her stunning historic home that she and her hubby renovated from top to bottom is an absolute masterpiece. Her love of color, texture and pattern are to die for – and her Spring touches are stunning in here! 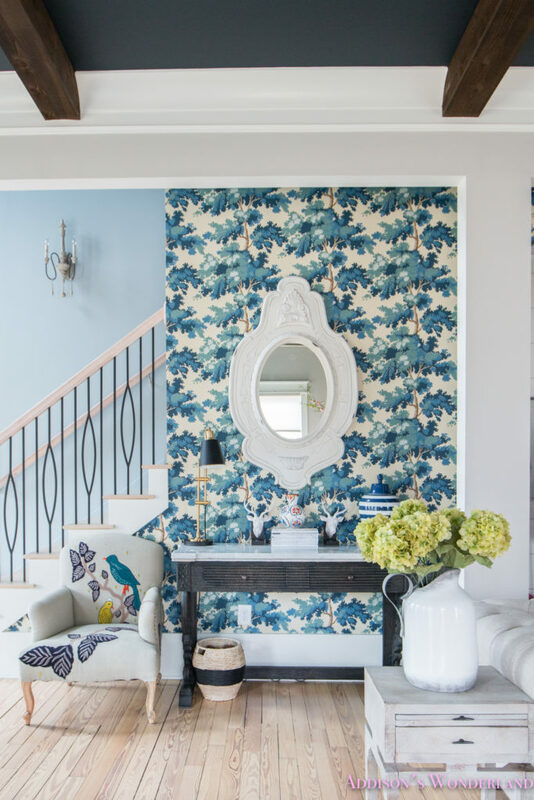 I can’t get enough of this blue and white wallpaper set off perfectly by the gorgeous green hydrangeas! Her whimsical style is fearless and bold, you will love her! Bree, from ZDESIGN AT HOME is currently residing in a rental apartment while she and her hubby are building their new custom home – can you believe this is a rental?! 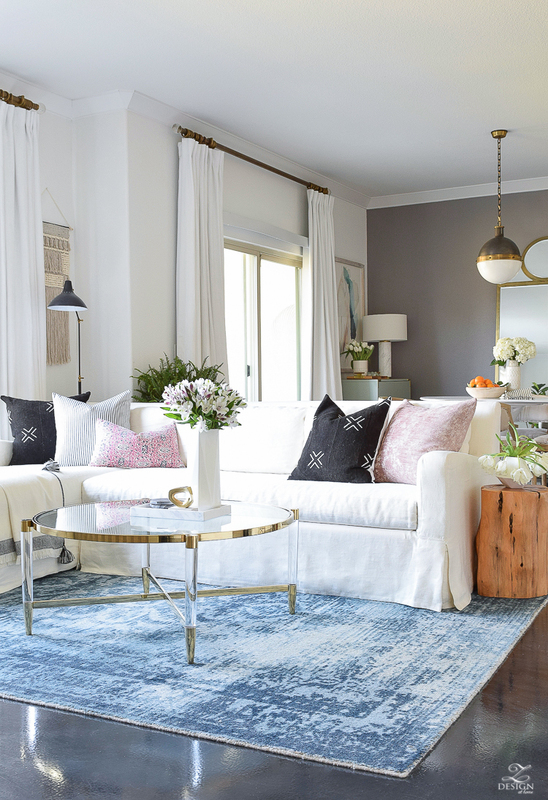 Bree’s style, which I think is modern-meets-glam-with-a-touch-of-boho, is surely one of a kind and she pulls it off with ease in every space – she can style a room like nobody’s business! I adore her simple Spring elements of soft pink and fresh florals. I always find endless inspiration on her blog and cannot wait to see what her new home will turn out like – no doubt it will be show-stopping! I’m wrapping it up with a couple of my own shots from my Spring tour which you can link to here, in case you missed it! 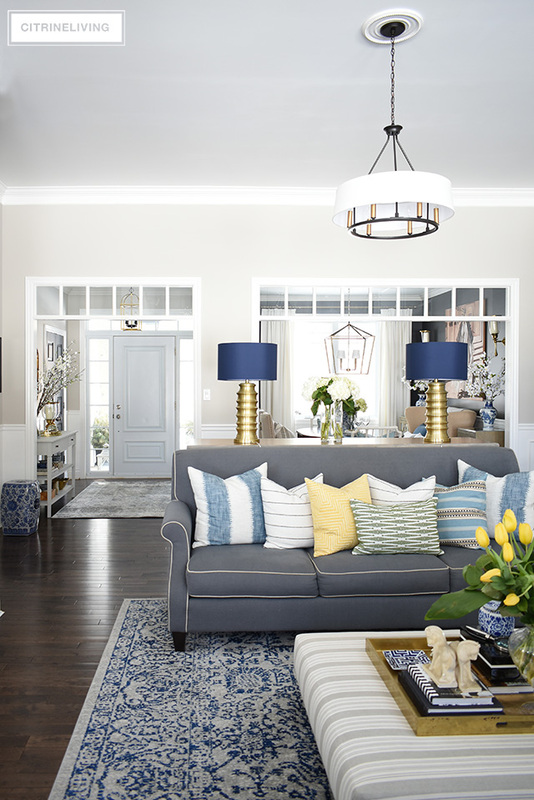 I chose to go a little bold this season, and brighten up our home with mix of my signature blues topped off with punchy yellow, to bring in a dose of happy, mixed in with some warmth to celebrate the season. 4 Comments on SPRING DECORATING WITH SOME OF MY FAVORITE BLOGGERS!